Piha is arguably one of the most magic places in New Zealand. It is an iconic part of Auckland’s West Coast. It can be found featured through all the ‘’must do’’ places to visit this summer lists, and all the ‘’must see’’ tourist guides, but what is it that makes Piha so special? Getting out to Piha can seem a bit out of the way, but as soon as you round that last corner at the top of the cliff before the decent down into Piha town, that captivating view of the water, the beach and Lion Rock makes it all worth it. Whether it’s your first trip out there, your hundredth, or whether you are a local, it is something spectacular, and never gets old. It has always been a ”go to” place for surfers in the region, as well as home to various surfing competitions. The explorations available at the beach itself, is never ending. Multiple bush walk tracks, dotted with waterfalls perfect for cooling down, as well as tasty food from the store and café on the main road. It always makes us smile when we see tourists wandering down the sand dunes, that expression on their face that you know they are witnessing Piha for the first time. The other popular expression is the discovery of just how much that beautiful black sand can burn your feet when the sun has been coating it all day long. The squealing as people attempt to ride their towels all the way back up to the carpark. Piha is an escape from reality. 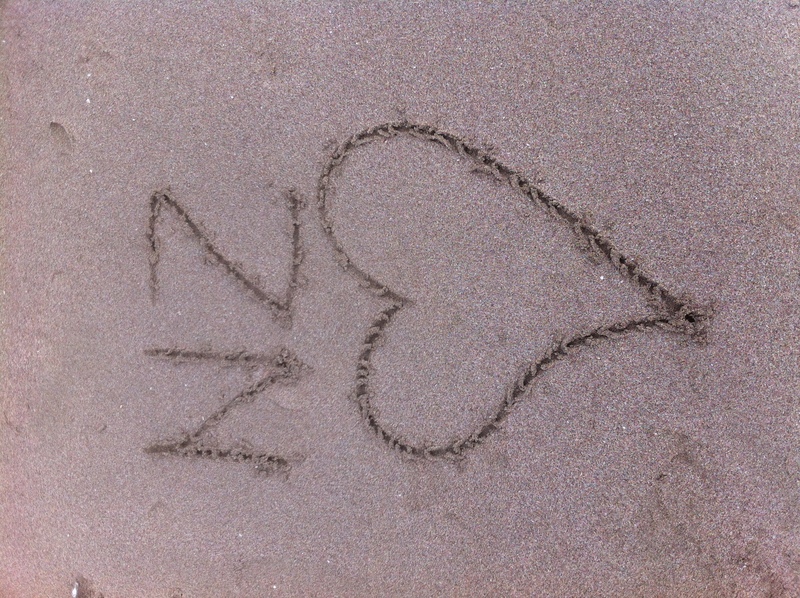 You are technically only 30-40mins from the buzz of Auckland City, but when you are sitting on Piha Beach, feeling the warmth of the black sand between your fingers and toes, you are worlds away. You can look at pictures and see how lovely it all looks, but nothing compares to the real deal of seeing it with your own eyes. 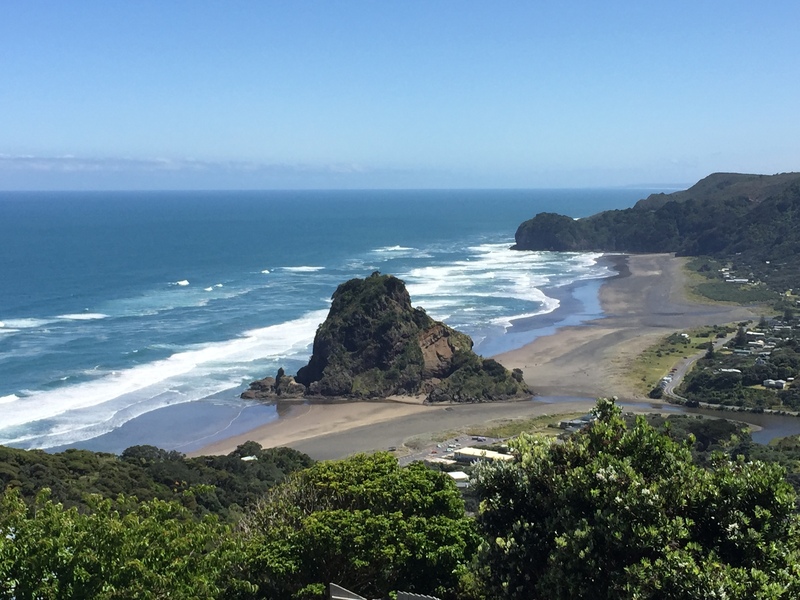 Piha is by far our most popular day tour, and there are no surprises as to why. Us kiwis sometimes forget that the kiwi language is not actually a universal one and actually only spans across the three islands that make up our fantastic little country. 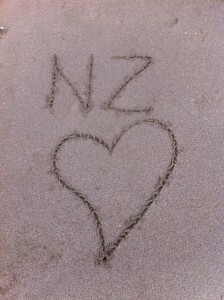 It does however continue to span wherever in the world us kiwis go. This aside, if you aren’t a fluent kiwi speaker, this quick guide will hopefully enlighten you on some of the basic dialect that you may hear and witness being spoken if you are travelling around and exploring New Zealand. To get started here are some quick words that will be good to keep in your kiwi language notebook. Jandals: Flip flops, the most popular national footwear of New Zealand. Great for the beach. Dairy: A convenience store, basically a mini supermarket. Chilly bin: Used for keeping food and drinks cold, it is a portable cooler bin. The wops: An area that is far away and consider in the middle of nowhere. Macca’s: Our slang word for McDonald’s. Bro: Possibly one of the most iconic and most used words in the kiwi language. Bro can be used to refer to your actual ‘brother’, or friend or anyone else for that matter. As: Often used to add emphasis at the end of a statement. For example; ‘’that pie was good as’’. Choice: Choice very simply means that something is good. For example; ‘’that was choice’’, means that was good. All good: Often used in conjunction with ‘bro’ mentioned above. Signaling that everything is fine. To the days: A phrase added onto a statement for general emphasis. For example; ‘’the waves were good out west to the days’’. This basically means that the waves were very good out west. I hope this snapshot of our language will be a good pocket guide for you when you are a newbie to the country and will help you explore and immerse in our culture to the fullest! New Zealand has so much to offer travellers during the winter season! You don’t want any nagging sicknesses to stop you in your tracks. This blog is a quick guide to foods that will boost your immunity help prevent sickness such as the common cold. They are all easy to access throughout the country; and while they won’t cost you the earth they will help you explore our corner of it to the fullest. 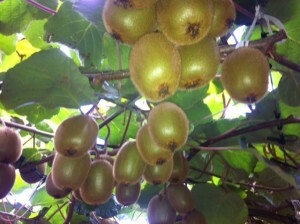 Kiwifruit is a relatively big business in New Zealand, and is an iconic fruit. It is also full of Vitamin C. Snacking on kiwifruit not only builds up your defense barriers to fight the bugs, it also tastes great. It is also great in smoothie or on things like cereal. It can easily be sourced from fruit shops and supermarkets. Trying out the New Zealand seafood delicacies is a well-known must do for travelers. Foods such as crayfish, oysters and crabs are full of selenium which help your white blood cells produce a protein called cytokine. Cytokine helps flush flu viruses out of the body. So, if you were looking for another excuse to devour our delicious seafood, this is it! A study out of Harvard University found that people who consumed five cups of black tea for two weeks had TEN times more interferon in their blood. Interferon helps the body fight viruses. Green tea also has the same effect. Endless types of tea are easy to get hold of at supermarkets and most cafes and bakery outlets around the country. Beef is another New Zealand icon. It doesn’t get much better than prime New Zealand beef (however we may be a little biased). We are really lucky in New Zealand to have access to good quality meat, so this is definitely something anyone travelling around New Zealand should take advantage of. The zinc present in beef is the main factor that will help bolster your immune, and the great news is that beef can be involved in all types of dishes and meals. It’s also a good one for camper cooker! Kumara, or better known outside of New Zealand as sweet potato is a kiwi favorite and was traditional cooked as part of a Maori Hangi. It may sound unusual, but our skin plays a vital role in protecting the immune system! This is where kumara can help us out. Kumara is rich in beta carotene. Our body turns this nutrient into Vitamin A. Vitamin A helps the skin stay healthy. Kumara can be enjoyed as part of a salad, mixed with other vegetables, as a fritter, as chips, even as a dessert, just to name a few. So stock up on Kumara for the long trips, and if you haven’t tried it already, what are you waiting for? If you are travelling around New Zealand at the moment or a planning to at any of our stage winter, make the most of the experiences we have on offer, and make sure you stay fueled so that you can keep exploring!